Whenever you want to collect information from visitors you will need a form, which lives in the <form> element. Information from a form is sent in name/value pairs. 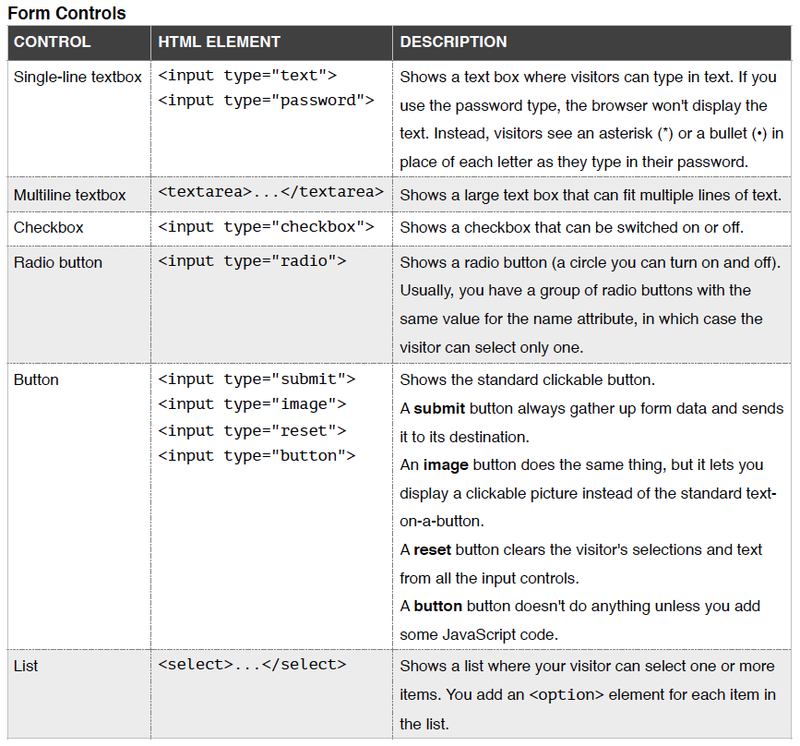 Each form control is given a name and the text the user types in or the values of the options they select are sent to the server.